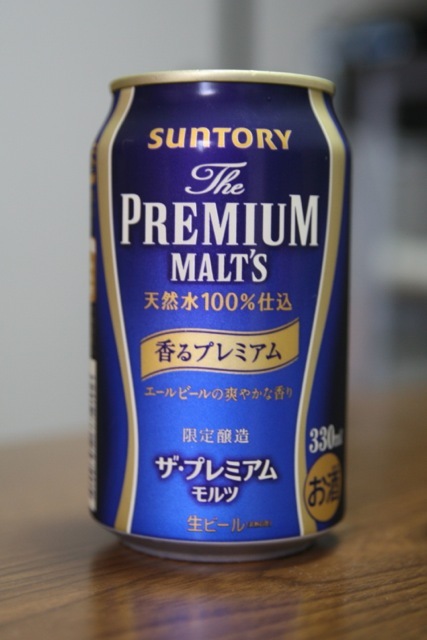 Suntory’s latest edition to the premium Japanese beer arena is Suntory The Premium Malt’s Kaoru Premium. It’s made with Diamond Malt and Saaz Fine Aroma Hops, and is one of the few ales to ever be produced by one of the big four. Kaoru Premium pours out a beautiful gold in the glass. The fruitiness of the hops immediately permeates the air as you pour, showing off its ale qualities. That fruitiness transitions to the mouth, with a velvety smooth mouth feel. The back end reveals a little sweetness and a touch of bitterness giving a light crisp finish. This summer, Suntory’s Kaoru Premium brings some freshness to the table. It’s really nice to see an ale among the lineup of Japanese lagers from the big four. 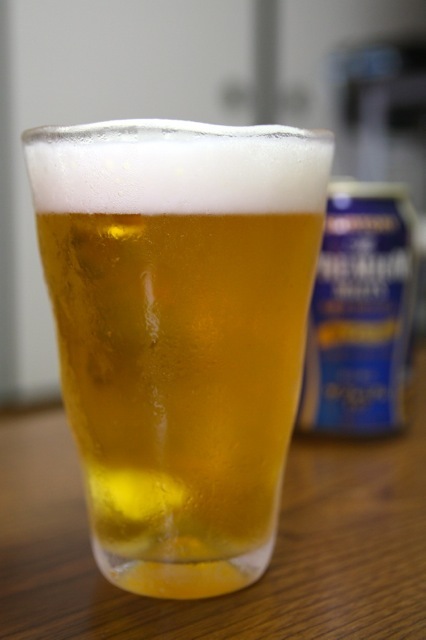 The flavor of Kaoru Premium is so different from the standard fare making it a nice getaway, as the fruity sweetness is almost reminiscent of a cider. If you can afford the premium price drink it while it’s still on the shelves! This entry was posted in Japanese Beer and tagged all malt beer, Japanese ale, Japanese beer, Limited Production, Suntory. Bookmark the permalink.